A home with a view is something we all dream of! Hence, when we look at a home, its windows inevitably create an impression in our minds. The way they are set and which way they face as well as the style that they follow are aspects that create a distinctive personality for the home. Also remember that the size and type of windows are crucial in deciding the amount of natural light your home receives. 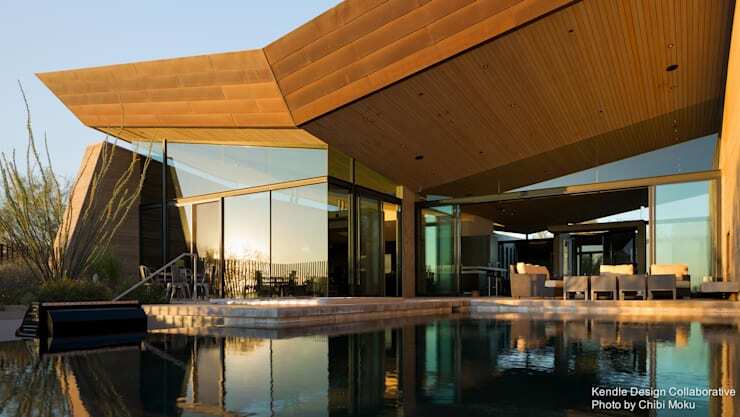 So, these ten homes have been handpicked by us because of the wonderful panoramic views offered thanks to the style followed by their windows. Come and have a look! The modern cottage like look is almost ethereal, look thanks to the windows and glass sheets that clad the corners. The symmetrical play of windows and doors makes for a wonderful look in this home. Credit for this creation goes to the architects at Concept Eight Architects. This glass box-like structure is one that makes for an open and see-through appearance. The home has a transparent, bright and airy feel, though it is well-shaded by the slanting roof with its shingles on top. 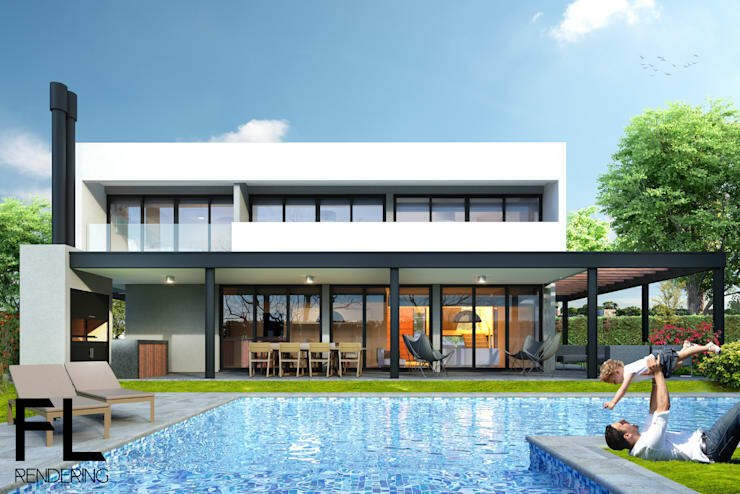 This home is marked with terraces that go along the inward L shape of the home as well as the large banks of doors and windows which appear along the facade. This allows the inhabitants to enjoy unparalleled views from all directions. 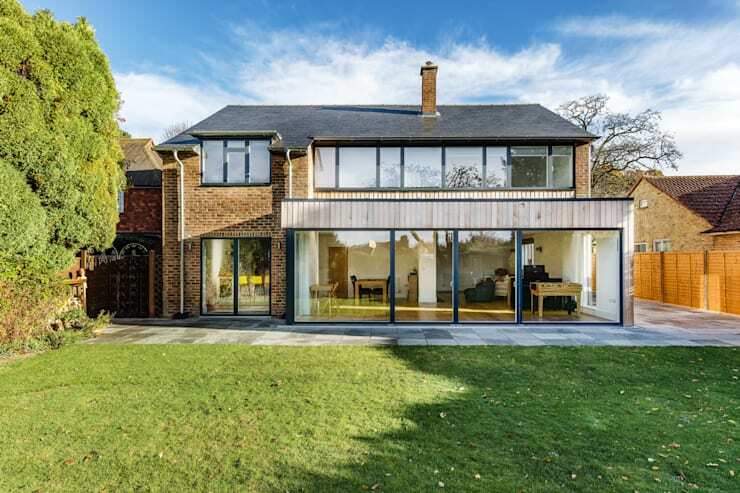 This modern home wows with rustic charm, thanks to the brick walls, while the glass sheets for the main wing create a rather open and modern look. 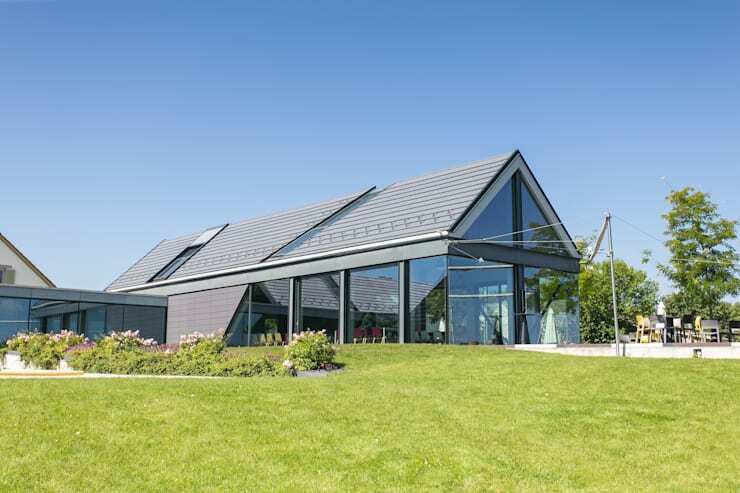 This quirky inverted and slanted roof with its heavy wooden bearing makes the home a whimsical looking one, while tinted glass walls reflect the gorgeous surroundings magically. 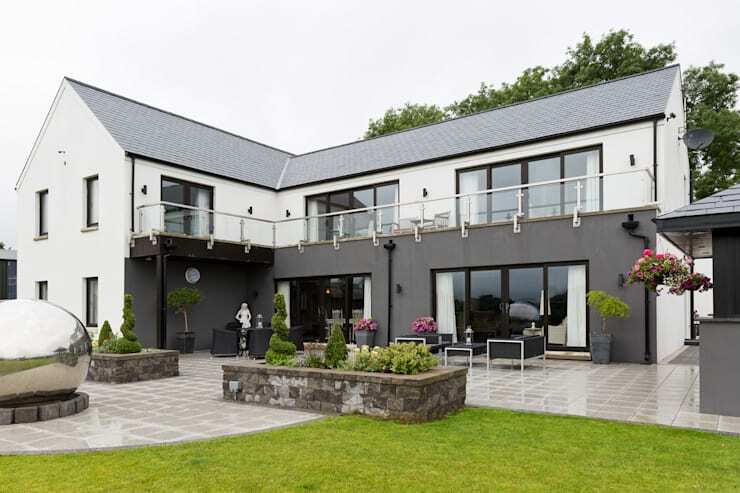 The structured look of this home is one that has made it our favourite. A transparent glass box-like home encased in giant white frames form the main structure, while the golden interior lighting does the rest of the talking! Conifer-like trees give privacy and shade around the glass walls. 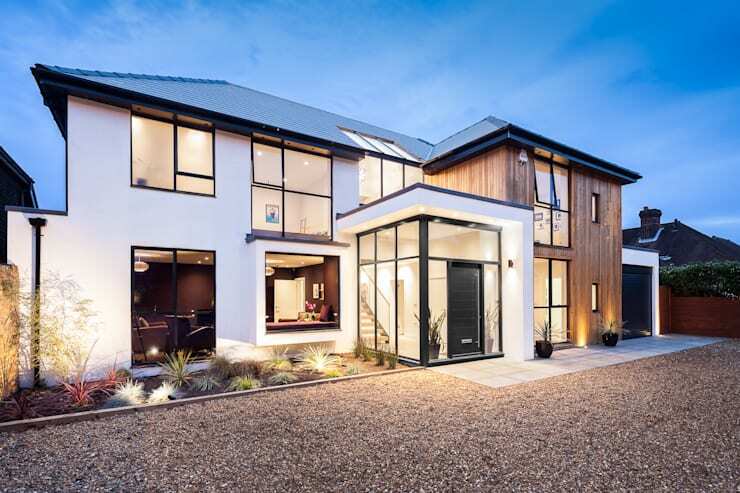 Simple and linear, the facade of this home is done up with glass sheets that are set in symmetrical black metal frames for a look that says monochrome magic! 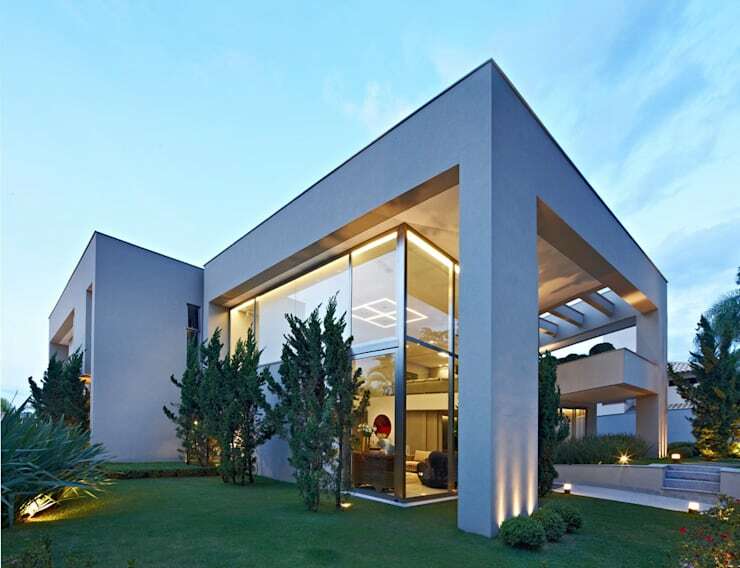 The irregular shape of this home and the glass walls that define its contours make this a gem in the design arena. 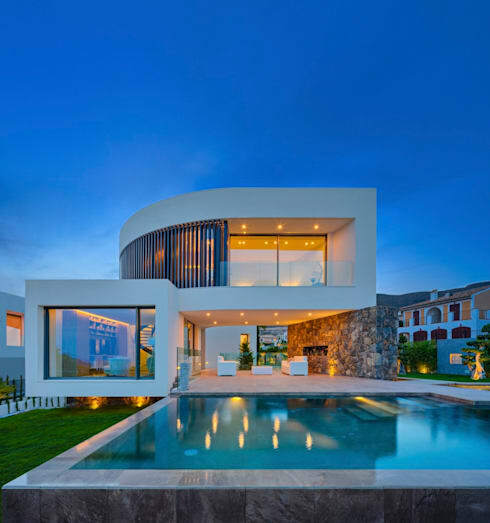 The curved surprises in the modern structure have been done up with a profusion of glass, which gives inhabitants unparalleled views of the surroundings from any corner! 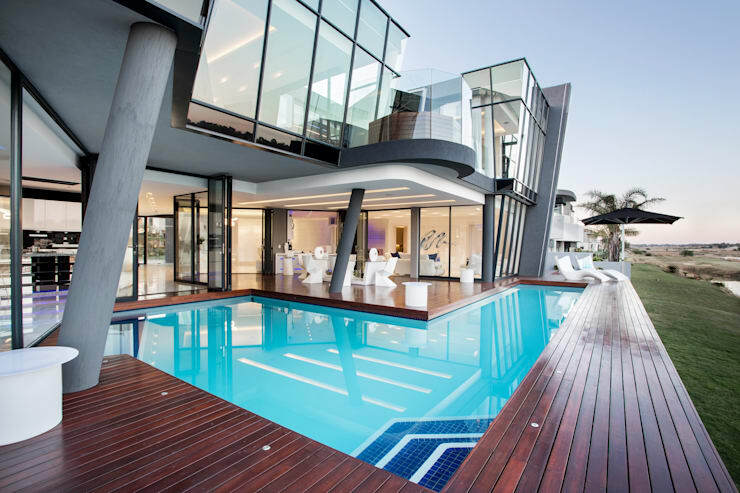 This futuristic home combines slanting grey pillars with irregularly-shaped glass boxes to create an impression like none other. The backside of the house completely opens up to the yard, while the dark wooden deck lends a bit of warmth to the austere structure.